“Nothing behind me, everything ahead of me, as is ever so on the road” Jack Kerouac, On the Road. There are many reasons why people travel, to go out and explore the world. Sometimes it’s to run away from things, but more than often, the urge to travel leads you to find what you truly want. Happiness should lie at the root at everything that we do. That applies to traveling, making a road trip, or just going out on a new adventure. Prior to making the coast-to-coast road trip, I knew that it would be an opportunity to learn more about the country - however, I ended up learning more about myself on the way. I set out on the road to Los Angeles from D.C. because I wasn’t happy with my current reality. I would soon find out that it would be the journey itself and not the (end) destination which would influence my contentment. You see, “happiness is found on the way, not at the end of the road”. There are very few things that I stand by that I truly think everyone should do at least once in their life. After 3,300 miles of driving, 8 states, 10 cities, and countless hours staring at the open road, making a cross-country road trip is one of those things. Countless times on the road, when we would tell people that we were making a cross-country trip, the response would be “oh that sounds fun, I’ve always dreamed of doing something like that but never had the time”. Our response would always be, just do it! This applies to many things in our lives. Fear gets in the way, we put it off as irrational, and the next thing you know time has passed and ‘responsibilities’ pile up. You know that thing that you always wanted to do, just do it. In moments of hesitation, listen to your heart - it will never guide you down the wrong road. To all of those who have a dream that they want to achieve. To all of those who have a trip that they have always wanted to go on. To all of those who doubt where they are in their life, “all you need is the plan, the road map, and the courage to press on to your destination” as said by Earl Nightingale. One of the things that I have always believed in, is that everything happens for a reason. Now after traveling across the country, I also believe that everything works out in perfect timing. The two statements are very similar and coincide with one another. Both statements may also not be true - that’s pessimistic me talking. But (and this is important), if you put faith in the statements, within yourself, and the universe, only then will it seem like life is one synchronous event. You will begin to put doubt and fear on the side. To be replaced only with trust, confidence, and affirmations. Don’t give up your happiness if things aren’t going your way. In the moment, it may not seem like it but in the end, everything always works out. By the end of the trip, we recognized that the amount of stuff that we learned about the country, about history, and about ourselves is exponential compared to just the last year alone. The open road has been our best teacher. My goal now is to travel, to see more places, to immerse myself in new cultures, and to get out of my comfort zone. When we went out in Nashville, I was completely out of my element. At first, it was uncomfortable but as I opened up to the experience, in the end, it was one of my favorite stops on the trip. From the Airbnb trailer, the honky-tonk, and country line dancing, Nashville set the tone for the rest of the trip. We were living for experiences. 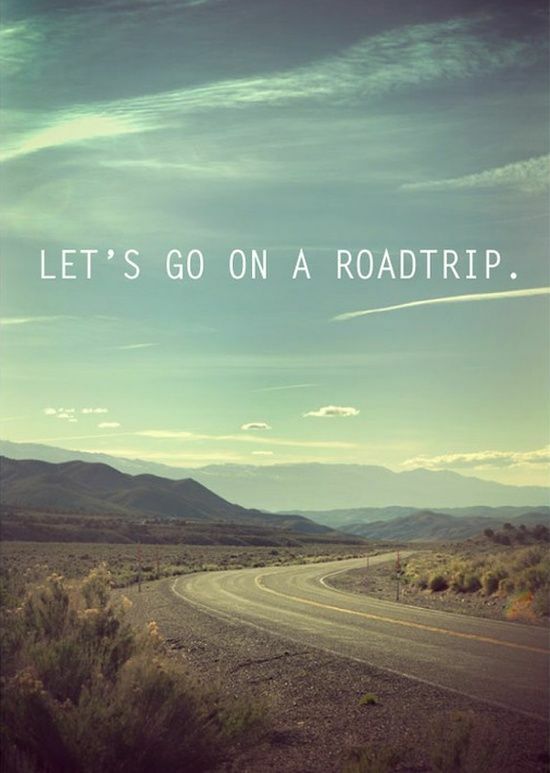 “The greatest part of a road trip isn’t arriving at your destination. It’s all the wild stuff that happens along the way” Emma Chase. So travel, get out, see different places. Do it while you can and don’t worry about money as experience is always worth more than money. There is always a way to make it work - live for the experience. The United States is HUGE. We like to think that our own bubble is reflective of the entire country. Our country’s culture, beliefs, the way of life, and landscapes are not monolithic. With each passing mile was a different thing to learn. At each stop was a different culture to embrace ourselves in. Each person that we met or came across taught us a different lesson. My point of view of the United States is now entirely different thanks to the road trip. I was able to see ‘gods country’ and how much of a contrast it was from my coastal homes in LA, NYC, and DC. However, the differences are still only surface level. I also gained perspective on how similar we all are. Let’s take it back to Nashville. Even though it was race, background, and culture that separated me from the people in Nashville, at the end of the day we both embraced our humanness (is that a word?). My change of perspective is recognizing my humanity in others. It is having empathy because even though they have a different culture and beliefs, I am now better equipped to accept without judgment. We kept joking on the trip that if everyone in the United States made a cross-country road trip, or simply went out their way to embrace other cultures, the opportunity to love another would be boundless. A change in perspective knocks down the walls of your predisposition and shatters the fear of differences. Perspective is gained through experience.